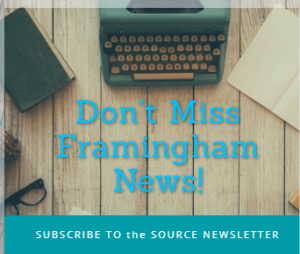 FRAMINGHAM – Staples, Inc. has unveiled top trends in gear, tools, tech, and accessories for the upcoming back-to-school shopping season. 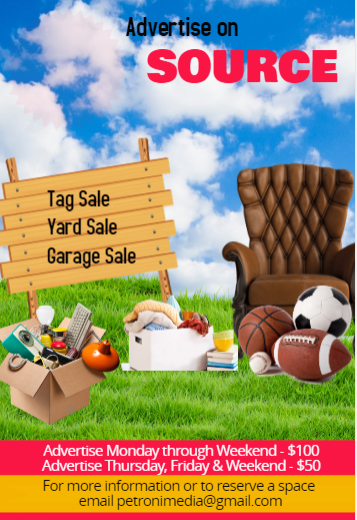 Available in stores across the U.S. and on Staples.com, the 2017 back-to-school products are in stock all season long at everyday low prices, backed by the Staples 110% Price Match Guarantee. With a new spin on classic tools, this school year will feel new and fresh. The Staples® Better Binder ($8.49) and Staples® 3-Pocket Portfolio ($2.49) maintain functionality while allowing students to express their uniqueness through several designs. Add some glam to your binder with the Staples® Three Ring Binder Pencil Pouch ($5) and let note-taking rise above the ordinary with Staples® Licensed Notebooks & Composition Books ($3) and Staples® 1-Subject Spiral Notebook ($2). Wild tropical patterns featuring exotic animals and bold colors carry summer vibes into autumn with Staples® Kids Lunch Bags ($9.99) and Staples® Kid’s 16-inch Backpack ($19.99) available in a variety of exotic animal prints that kids can match (or mix), Nail Polish & Popsicle Highlighters 3-packs ($3), and Eccolo™ Tropical 2-Pocket Paper Folder ($2.49) in gold foil tropical patterns. Animal-inspired pieces like the 3M® Elephant Desktop Tape Dispenser ($7) and Animal Attraction Fashion Composition Book ($2.99) in blue elephant, pink flamingo, and turquoise whale also make practicality fun while bringing the animal kingdom to the classroom. 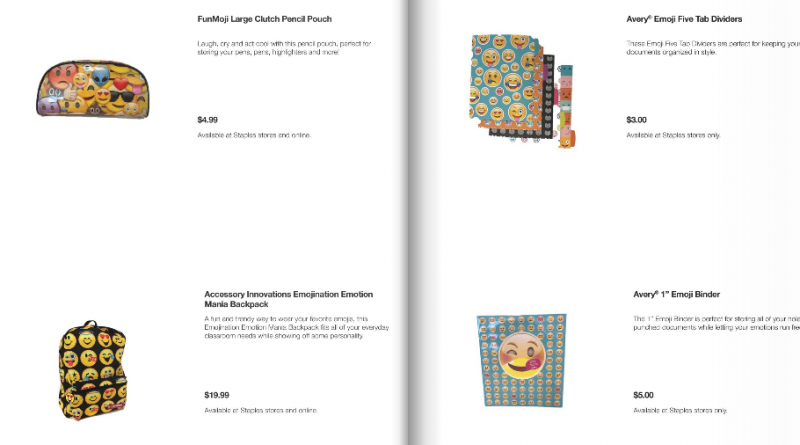 Taking a page from the latest teen trend, these life-size Emoji pieces let students express their emotion and creativity with FunMoji Large Clutch Pencil Pouch ($4.99), Avery® Emoji Five-Tab Dividers ($3), and Emoji 2-Pocket Poly Portfolio ($2). The Emoji fun continues once class is out with the Bluetooth-compatible Jamoji Speakers ($14.99). Quirky touches add some unexpected fun to the back-to-school shopping list, with everything from a Monster Puppet on a Pen ($3) to the Fluffle Pencil Pouch with Key Chain ($8), and even jars of Donut and Macaroon Erasers ($4) that almost look good enough to eat! Students can step up their locker decoration game with a Light Up Locker Mirror($9.99) and Locker Luxe Geometric Chandelier ($16.99). The hottest tech products are at Staples this back-to-school season, like the Staples® Youth Stylus ($16.99) that enables children to navigate tablets and touchscreens easily with a kid-friendly crayon shape and the Acer Aspire 3 Notebook (as low as $259.99), Staples® Earbuds with Microphone ($19.99), and Staples® Headphones ($10) boast great quality and a sleek finish, and are perfect for students’ on-the-go needs in the classroom and after school. Headquartered in Framingham, Staples, Inc. operates primarily in North America, with additional offices in South America and Asia.